Our quality policy is focused on fulfilling customer desires with custom-made products and maintaining and improving customer satisfaction. The highest goal of all activities in the company is to offer products of the highest quality and reliability, matching exactly the requirements and expectations of our customers. In order to satisfy the legitimate demands of our customers and our cooperation partners for verifiable quality, and to steadily increase and further improve the achieved level of quality, we have our structures inspected and certified according to DIN EN ISO 9001:2008. 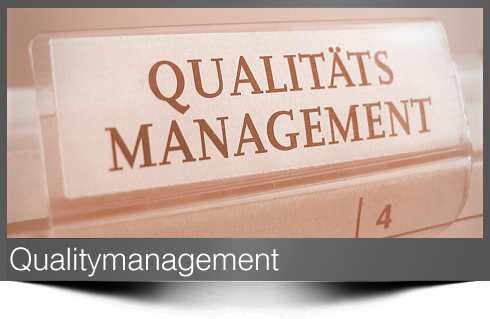 The continuity and consistent improvement of our Quality Management System are guaranteed by on-going annual monitoring audits and certification measures. At the same time, our high demand for quality is a substantial element for the strengthening and securing of our competitive ability. We continue to provide service over the entire product life cycle, upon which our customers can rely. Our goal is the satisfaction of our customers.